Widely regarded as one of the leading names at the Chancery Bar, Warnock-Smith is described as a joy to work with and a highly client-conscious lawyer. As both English Queen’s Counsel and as a Cayman Islands attorney, Shân is both an adviser and a litigator with an equal enthusiasm for both. She specialises in trusts, succession and other private wealth issues often involving a number of different jurisdictions. Shân has a truly international practice which takes her around the world from her London base at 5 Stone Buildings and her Cayman base at International Chancery and Trusts Chambers. She has a particular interest in wealth structuring and protection for international families from both the advisory and the litigation standpoints. Shân is highly recommended as a leading Silk in the current editions of Chambers UK, The Legal 500, and Legal Experts. Shân’s practice involves all aspects of trusts and estates, both contentious and non-contentious. She is equally at home advising on wealth structuring for clients around the world or on cooperative variations of trust as she is in hotly-contested trust disputes. Shân is at the forefront of developments in the private client field and as a result she has been consulted by governments in connection with proposed legislative revisions to trust law. She appeared in Re Yorke (deceased)  4 All ER. 907, the test case on estates of Lloyds Names, and is the author of the subsequent Practice Direction permitting paper applications to the court in such cases. Re Mrs L (Grand Court of the Cayman Islands) – the approach of the Cayman court to the property and affairs jurisdiction under the Mental Health Law. MEP v Rothschild Trust Cayman Ltd (Grand Court of the Cayman Islands) – the jurisdiction of the court under section 63 of the Trusts Law (in similar terms to section 57 Trustee Act 1925) to confer a power to partition a trust fund. Sutton v England  WTLR 335,  EWHC 3270 (Ch)(Court of Appeal, England and Wales) the jurisdiction of the English court under section 57 Trustee Act 1925 to confer a power to partition a trust fund. A v Rothschild Trust Cayman Ltd  WTLR 1129 (establishing the availability of the Hastings-Bass jurisdiction in Cayman). Re Carapiets Trusts  WTLR 989 (foreign charitable purposes). IRC v Mallender  WTLR 459 (availability of IHT business property relief for Lloyds underwriter). Trustee 1 v Attorney-General of Bermuda [2014/15](Bermuda Supreme Court and Court of Appeal): several novel applications concerning Bermuda purpose trusts. AN v Barclays (Grand Court of the Cayman Islands) – the validity of “no contest” clauses. Re Alpha Beta Trusts (Bermuda Supreme Court) – variation of trusts under section 47 of the Bermuda Trustee Act 1975. Re Y Trusts (Grand Court of the Cayman Islands) – rectification of a trust where protector improperly appointed. Appleby v Citco (BVI Commercial Court) – breach of trust by trustee for failing to supervise investment manager. Shân has also appeared in numerous important and often sensitive unreported cases dealing with variations of trust, construction and rectification proceedings, breach of trust claims and applications for directions by trustees, particularly those concerning the sale or management of family companies and divorce orders affecting offshore trusts. Shan is admitted to practice in England and Wales, the Cayman Islands and Trinidad and Tobago. She has also been admitted on many occasions in Bermuda and the British Virgin Islands. 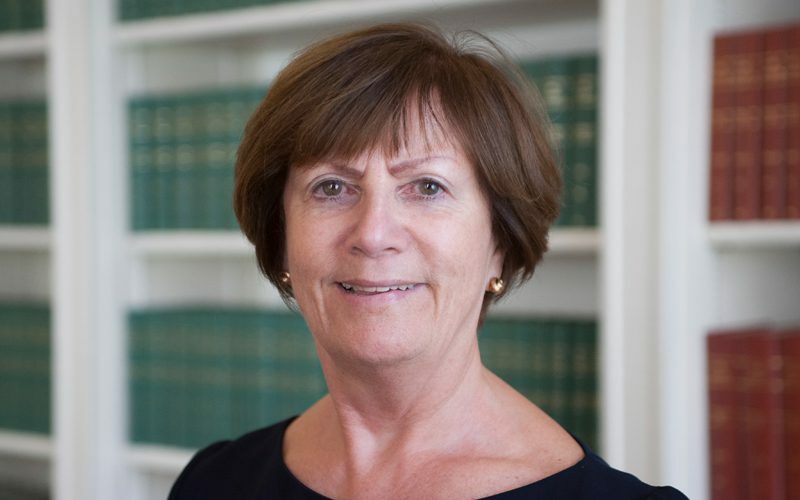 She often assists in cases in Hong Kong, Singapore, Jersey, Guernsey, the Bahamas, the Isle of Man and all other jurisdictions in which her expertise is relevant. Her Cayman chambers provides an international base from which she is particularly well placed to advise clients for whom the Caribbean time zone is convenient, particularly those from the US and South America. She is able to make herself available, often at short notice, in whatever jurisdiction is most convenient for her professional and lay clients. Shân is an accredited mediator and a specialist in the mediation of trust and probate disputes, particularly those with an international dimension. Shân is a member of STEP, ACTAPS, the International Academy of Trust and Estate Law and the Chancery Bar Association. She is an Emeritus Bencher of Lincolns Inn. Shân also sits on the editorial board of the Wills and Trusts Law Reports. Before coming to the Bar Shân lectured for some years in the law of trusts and property. She contributes regularly to professional journals. She is a highly-regarded and frequent speaker at professional conferences around the world and has chaired the highly successful Trusts and Estates Litigation Forum in Provence since its inception eleven years ago. Click here to view Shan’s Privacy Notice.